About two years ago my husband found a recipe for a sweet potato and bacon “salad;” it was a little too rich for me, but my husband loved it. The other day we were going to a friend’s house for dinner and charged with bringing a side. For some reason, I thought that the sweet potato and bacon salad had brussel sprouts, which my husband assured me did not. But brussel sprouts, bacon, and sweet potatoes sounded like a fabulous combo, so we decided to give it a try and create something new. 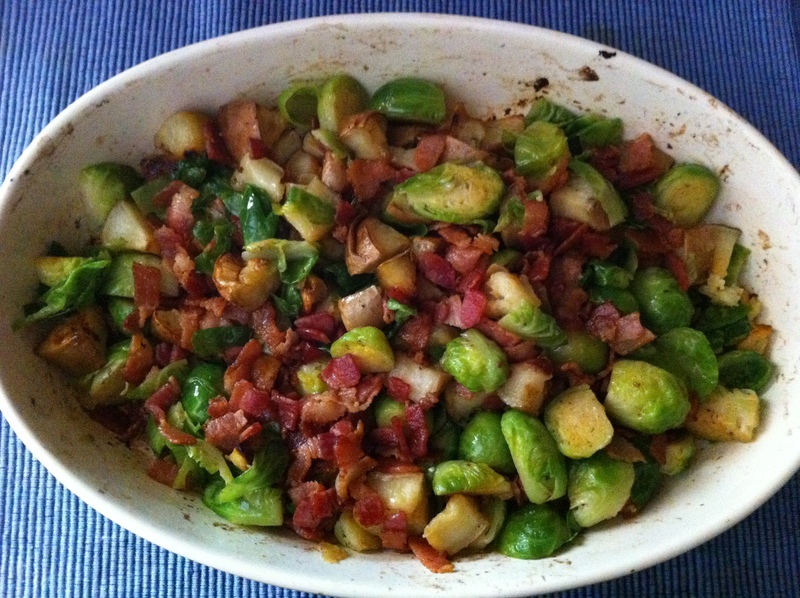 Sweet potatoes, salty bacon, savory brussels; sounds perfect to me! I imagined something hearty and satisfying, yet still somewhat green and my husband wanted to make sure we made something paleo or primal. I also did not want to make a dish that had a million ingredients. I’m the type of girl who wants simple, wholesome ingredients, and not need a huge list for the grocery store. Anyways. We whipped the sweet potato, bacon, and brussel sprout salad up and it turned out great! It was a hit at the party and something we will definitely make again, probably for a 4th of July BBQ! So here’s the recipe – simple, and very forgiving! If you change the quantity of the ingredients here or there, it should still be pretty tasty. Have I mentioned that I LOVE lemon curd? I really do. I need to find a healthier option, but until then, I will enjoy it as a special treat. But seriously, it is one of my most favorite things ever. I canned a few jars of it this week and needed a nice little gift tag for it. Fold it in half and write a nice message inside the card. Lemon curd should be consumed no later than a year after it’s been canned (who would wait that long?! ), so make sure you write the appropriate dates on the back. Fold it, punch a hold towards the top fold, and hang by a pretty ribbon or bakers twine. *Will post a picture soon, my printer is out and I need to get them printed. If you are having problems with the quality, email me or leave a comment. Looks like I have been M.I.A. these last few weeks. I have just been busy doing random things and haven’t spent too much time on the internet. Give me another couple of weeks and I should be back here full-swing! Despite using various ratios and different recipes my dishes did not turn out very clean. Even with the vinegar and lemon kool-aid rinse the dishes still came out cloudy with a powdery film. Maybe my dishwasher is too old or our water too hard, but we had to turn back to store bought dishwasher detergent. Anyone else successfully use homemade dishwasher detergent? I love smoothies. 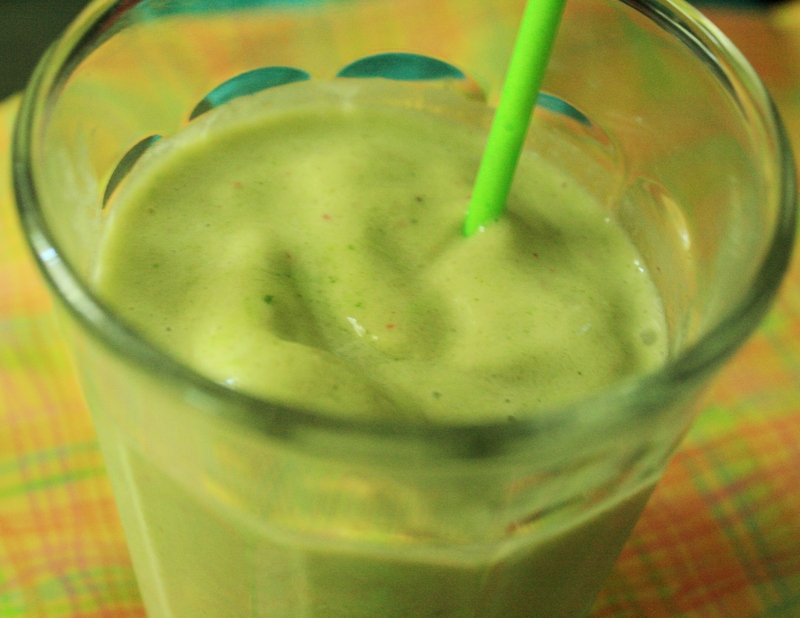 I often have a smoothie for breakfast because it’s quick and easy and super tasty. My favorite is coconut milk, almond butter, and banana smoothie! I’ve been enjoying the crock pot lately; it’s just so easy to use. Simply brown the meat, throw it in the crock pot with some liquid and leave it alone all day. As mentioned before, my husband and his family are all 100% Portuguese, coming from the Azores Islands. Since I had first starting dating my now-husband, some 9 years ago, I have had several Portuguese dishes. These meals I would categorize as “comfort foods.” Most meals feature meat and potatoes. Every Christmas Eve we have bocalao, at BBQ’s we have Portuguese baked beans, and every once in awhile we may have Galinha Guisada for a family lunch. 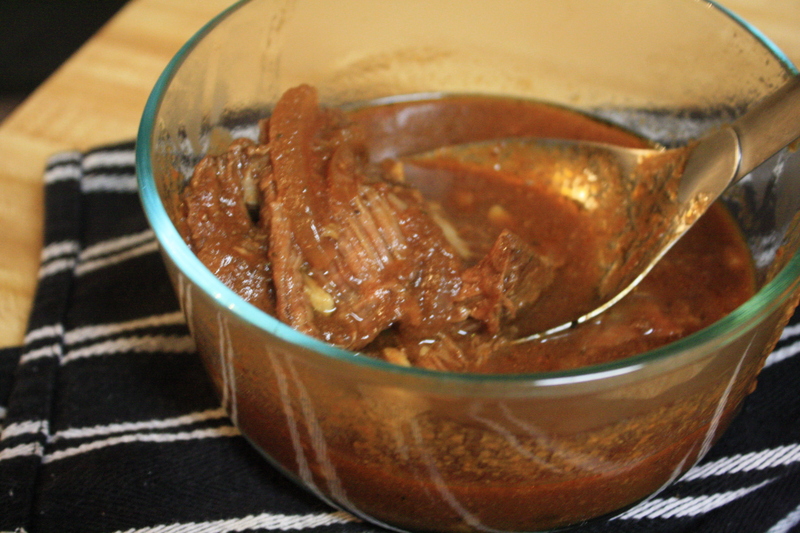 Galinha Guisada is quite easy to make and inexpensive. Made with chicken legs or thighs and chicken stock, you get the important nutrients and collagen from the bone marrow. Want to learn more about the benefits of stock and how to make it? Visit Weston A. Price Foundation’s article on broth. Instead of using your homemade chicken broth for chicken soup, save it for Galinha Guisada! The following recipe has been Americanized a bit (I use Italian seasonings and garlic powder and skip the bay leaf). I have been on the hunt for natural and safe beauty products. Sometimes choosing more natural and organic products means you have to pay a little more. These recipes can save you money and you can make some for other people too! 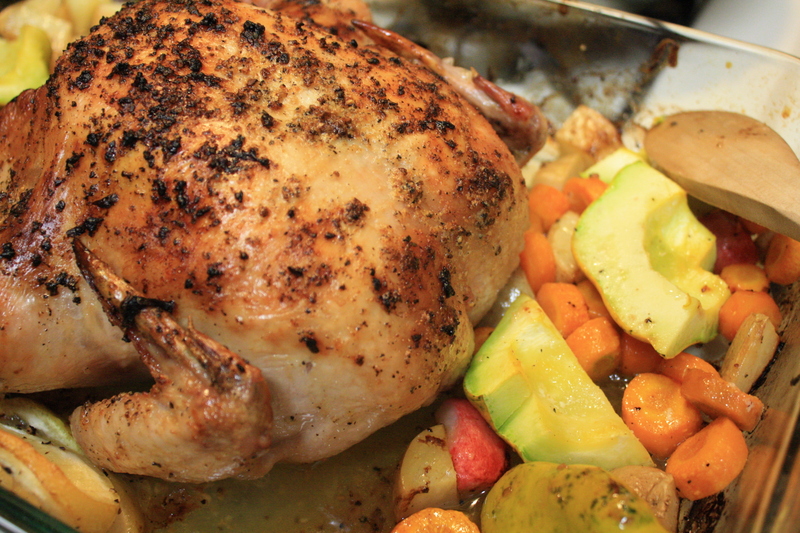 I think that roasted chicken is one of the easiest things to make for dinner. You just stick it in the oven for a while and leave it alone. If you bake a chicken you can have leftovers for tacos the next day, and keep all the chicken bones and extras to make chicken broth that you can freeze for later. Warning: if it’s a hot day it may not be the best solution to keep your oven on high for over an hour. But this recipe does make magic potatoes. 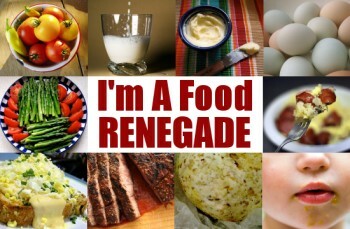 I’m a fan of Food Renegade, and as part of their Fight Back Friday, here is simple recipe for a healthy meal with lots of vegetables. Sometimes we have trouble eating all the vegetables we get in out CSA Box or sometimes we just don’t feel like cooking. The solution? The winning combo for us this vegetable season? I brush the crust with olive oil and 2 spoonfuls of fresh organic salsa. I sprinkle minced garlic throughout. I top with sliced and chopped vegetables, then sprinkle with cheese. (if using leftover meat, place on the pizza before the cheese). I then sprinkle basil and sun dried tomato flakes all over the pizza. Place on a pizza stone after following crust directions for temperature. Should be ready in 8-12 minutes. We find the pizza pairs perfectly with a fresh salad with oil and balsamic vinegar. This recipe can easily be changed to be gluten-free, vegan, or vegetarian. A friend of mine uses veganaise as a dip to serve with pizza. Don’t be afraid to use whatever vegetables you have on had. 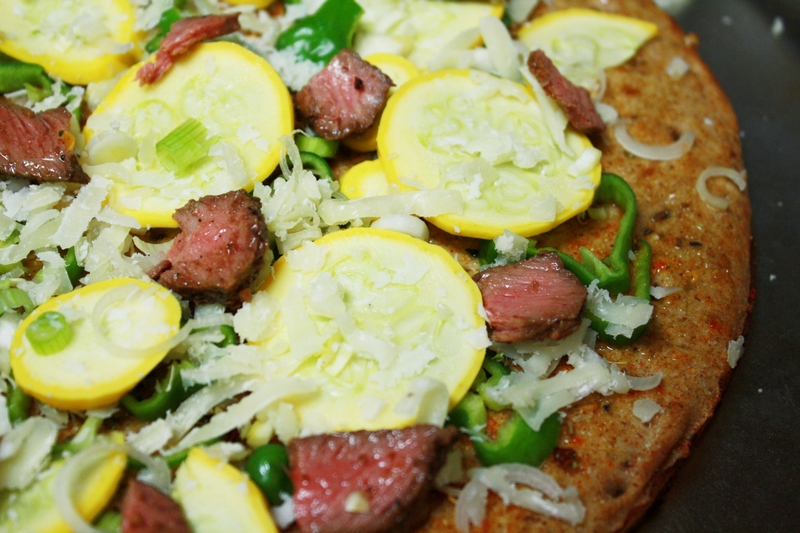 You can put anything on pizza and it can be healthy!